Words on Cricket: Will Team India save its No.1 test ranking? Will Team India save its No.1 test ranking? Proteas playing lot of mind games and trying to put pressure on the Indian team ahead of the first test match at Centurion. Corie Van Zyl the South African coach says, they have plan for all the Indian players and will make it difficult for the Indian batsmen to score runs and not allow India to win the matches and he is having strong base for saying so and that is dismal record of Indian batsmen in South Africa and also Team India had won only one test match in South Africa in last 18 years. So I think whatever South African coach is saying is strongly backed by the statistics as well because averages of all Indian batsmen in South Africa is way below then their career averages. This series is termed as an unofficial test match championship between No.1 ranked India and No.2 ranked South Africa. Proteas are putting question-mark on India's ranking by saying that Indians have won most of their matches in sub-continent and their record is poor outside sub-continent and I feel that is true as well too an extent. Proteas are challenging Team India to win in South African conditions to prove that Indian team is No.1 ranked team in test matches. 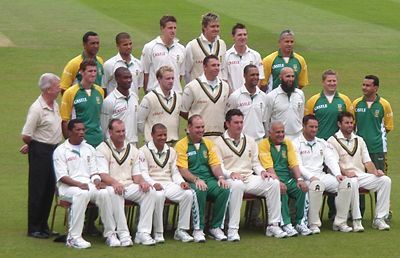 If Indian team fail to win in South Africa then I think they will not remain No.1 in test matches and that is fact. So its upto Team India to prove themselves in alien conditions of South Africa and win matches and give perfect reply to the Proteas. I am also little scared about the timing of this tour as well because last time before World Cup Team India toured New Zealand and lost the matches on green tops and that affected to the form of Indian batsmen and they were thrown out of the World Cup 2007 in West Indies at the initital stage only. So I hope they play well in South Africa and keep the momentum going till the World Cup so that they can play well in World Cup 2011.